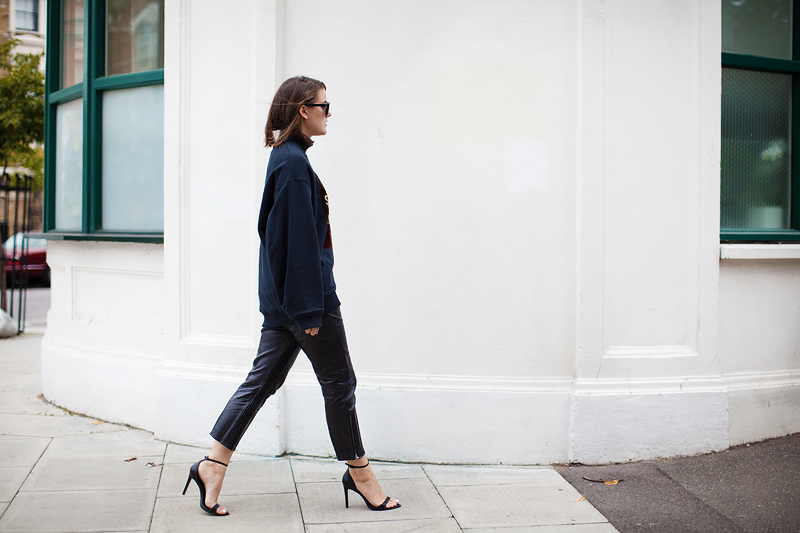 Wearing: Acne Breta Sweatshirt, Acne leather trousers, Céline sunglasses, Zara sandals. 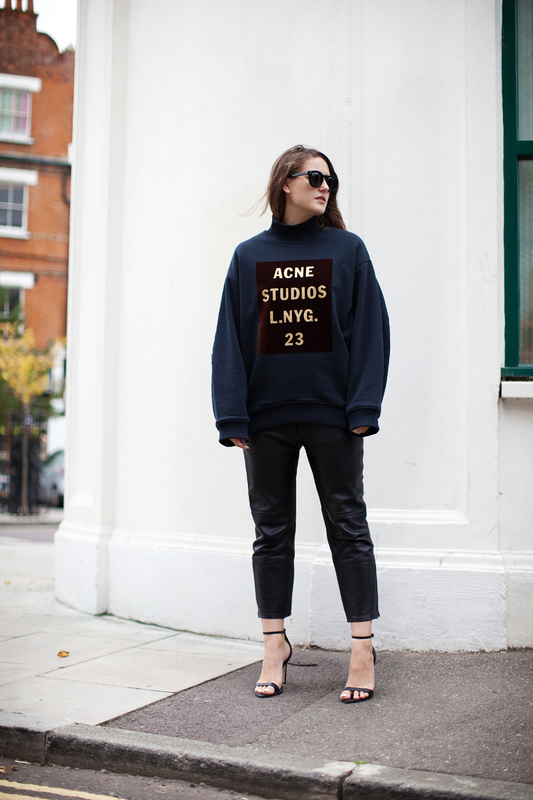 It’s been a long time since I wore anything with a logo emblazoned across the front of it, but I instantly fell in love with the shape of this oversized sweatshirt by Acne, practising what I preach, you know? It’s also perfect for wind shielding, biking around East London to the studio, as I do everyday. As you saw on twitter this morning I actually fell off in the most dramatic way, the fantasy versus the reality – I am pretty clumsy so it’s useless trying to portray myself any other way! This is also the first time I’m wearing these super chunky leather pants that I bought back in the summer.. ready for this moment. They remind me of heavy biker-wear, which I may need more of after this morning.. Hope you all have a good weekend! 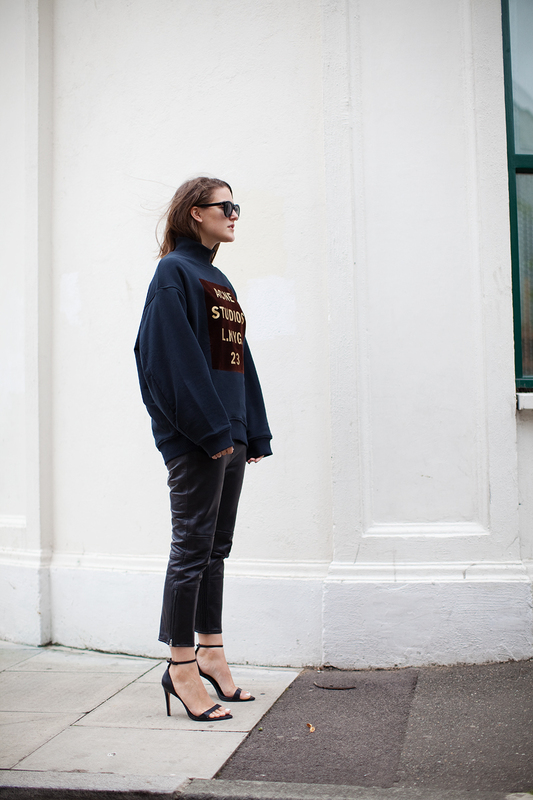 gooosh this sweatshirt is just way too perfect to be truth !!! OH MY GOD HAIR TUCKED IN COLLAR CHICNESS. Also how chic is this? We both have black leather Acne leather pants. 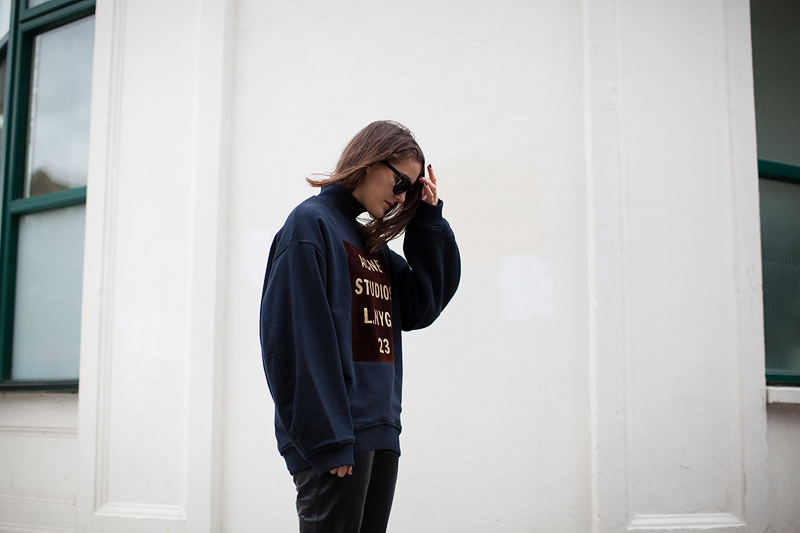 no one ever looked this good in what is technically just a sweatshirt yo. sorry about the fall on your bike. That sweatshirt is a perfect windshield.